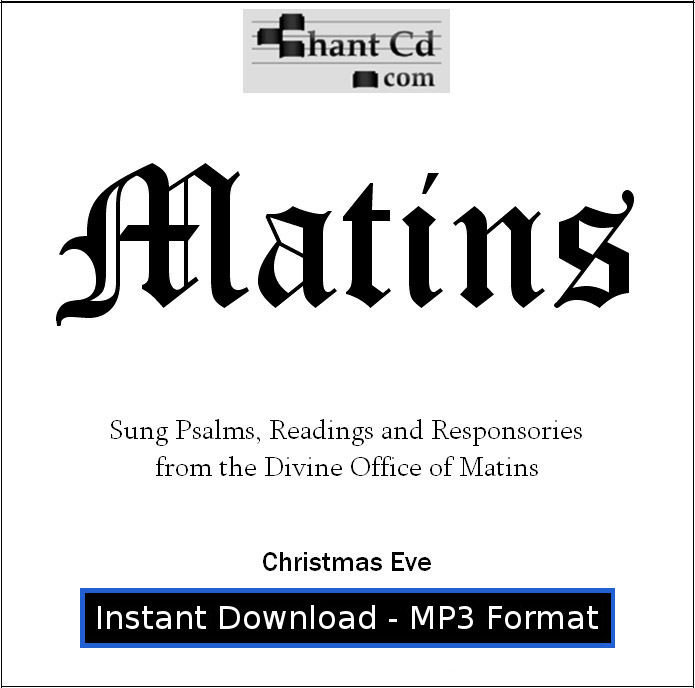 The Divine Office of Matins for Christmas Eve, sung with organ accompaniment. Beautifully done, this music will help you to raise your heart to God! Includes Psalms, responsories, and one VERY beautiful invitatory! The Psalms each have a different melody, so it is very compelling to listen to. 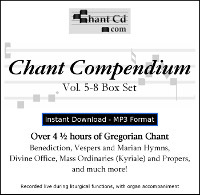 The office of Matins is still sung like this in some seminaries and monasteries. 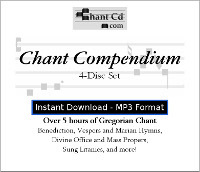 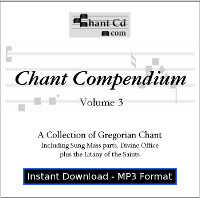 The Psalms have organ accompaniment, while the responsories are sung acapella by a schola. 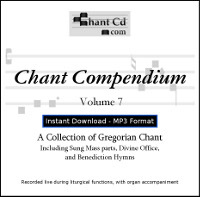 Recorded live, 79 minutes. 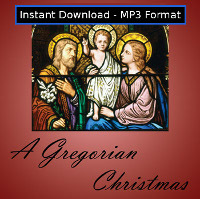 Christus Natus est Nobis - Get the lyrics here.